In Sydney, there are 2 main beach suburbs. 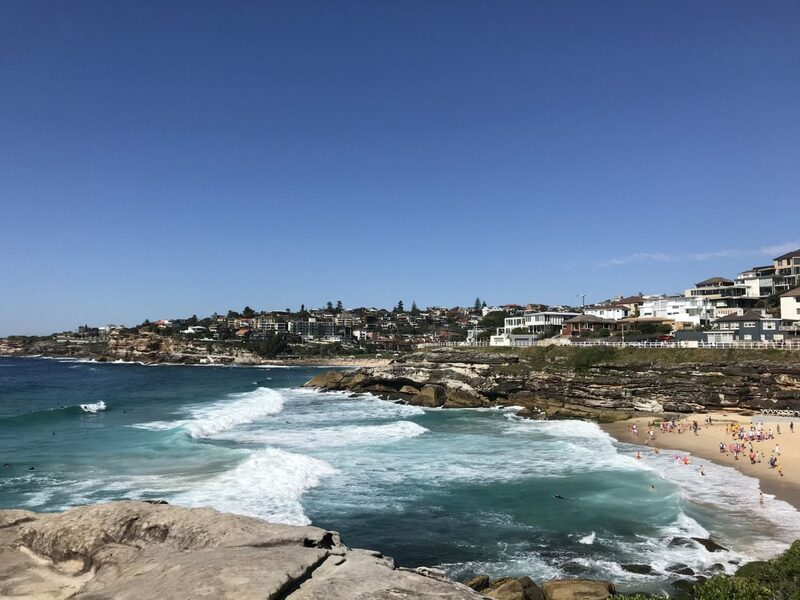 You have the Northern Beaches; consisting of 17 beaches, the most famous ones being Manly and Palm Beach (Summer Bay for those Home & Away viewers out there), you also have the Eastern Suburbs, which are home to Bondi, Bronte + Coogee Beach to name a few. 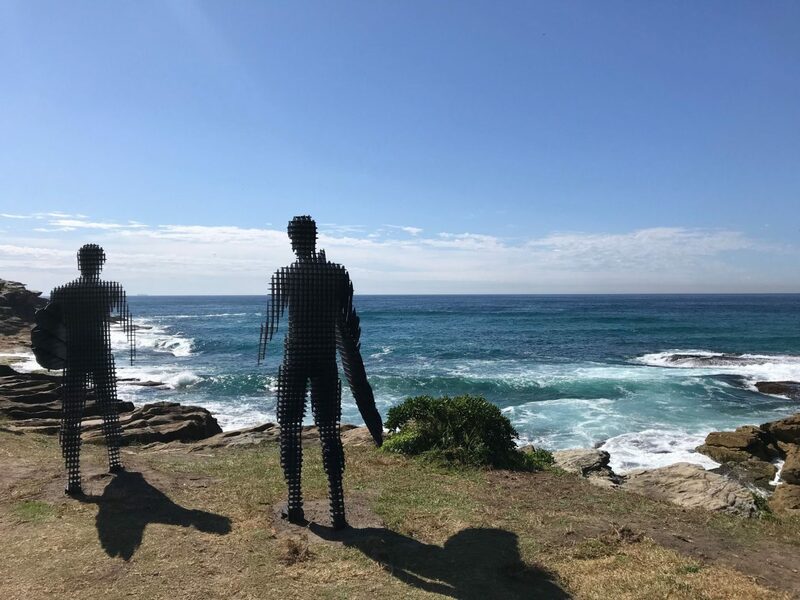 I lived in Manly for over 4 years and that’s where my heart is, yet there’s no denying the East has a coastline to die for, so I went over to Bronte this weekend while Sculpture by the Sea was on, an art exhibition you can stop & admire while doing the Bronte to Bondi walk. Getting there: Catch the bus to Bronte Bus Terminus from Bondi Junction. Bronte is a popular spot due to having it all! Bronte Park and Bronte Beach. Its vast grassy area is perfect for picnics and get togethers with sheltered benches and public BBQ’s up for grabs. There’s also a big rock to shelter under on the beach, just in case you happen to get caught out on a rainy day like I did on Christmas Day a few years ago. 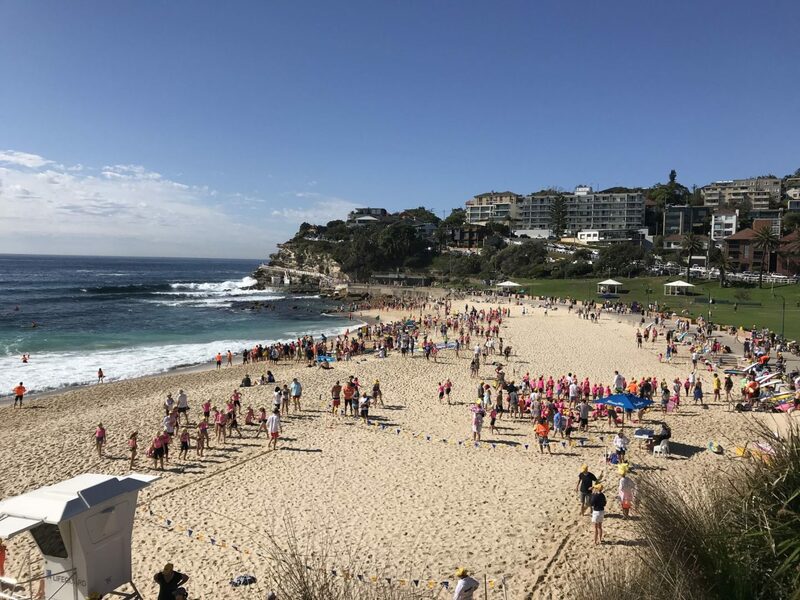 So yes, it has the surf, an ocean pool, sand, a kiosk for snacks (and everyone in Sydney goes mad for coffee) and on Sunday’s the local Surf Club put on a mean sausage sizzle. We started our walk at 9am, to beat as many of the crowds as possible. 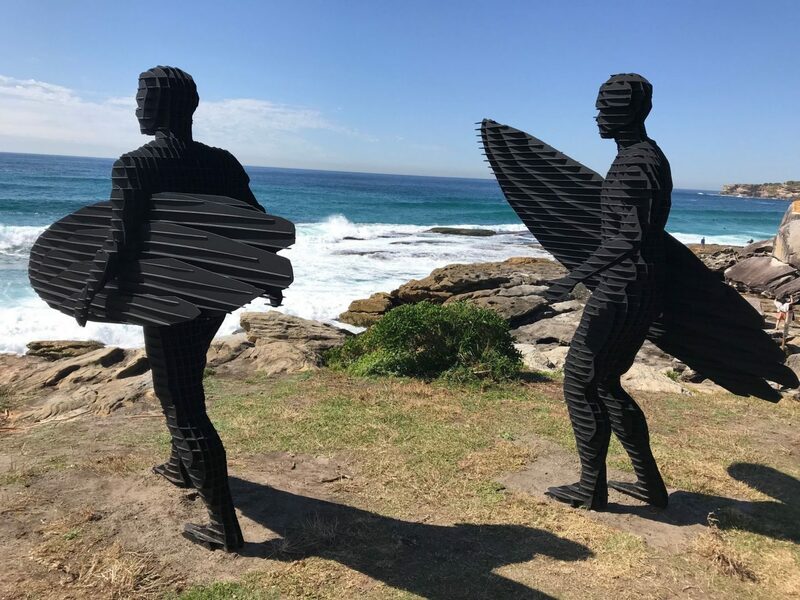 Thousands of people descend on this route in Oct/Nov each year, when Sculptures by the Sea is on. 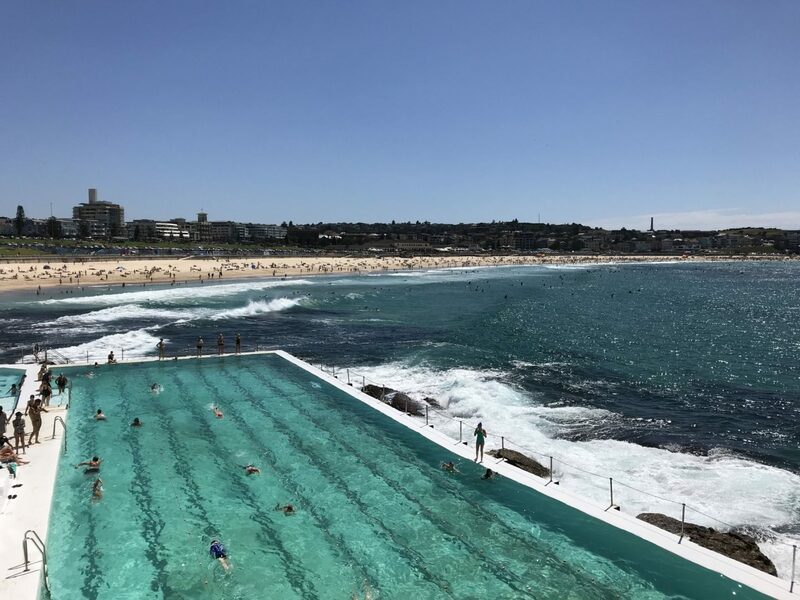 Most people start from Bondi too, so we gave ourselves 2 chances at enjoying the views and not being stuck in a human traffic jam for the whole 2.5km. I’m glad to say that both of these logics paid off! We headed up out of Bronte via the walkway and stairs up to the road, where you have to walk past some very envious houses – their mortgages are not envious though. Before you know it you’re walking down the winding path into Tamarama Park and Tamarama Beach. A short walk around the corner from Bronte Beach is Tamarama Beach. The Tamarama Surf Life Saving Club was founded in 1906 and operates here in peak season, you also have Bondi Lifeguards on patrol. 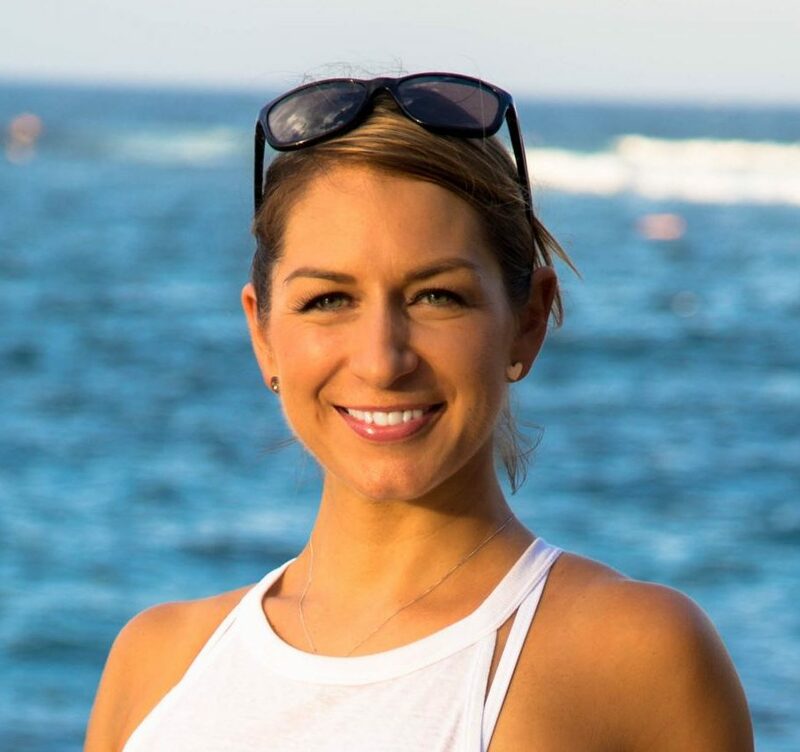 Make sure you listen to what they say as the beach may be small, yet it’s considered the most dangerous patrolled beach in New South Wales, with more rescues per thousand bathers than any other of Sydney’s beaches, by the Tamarama Surf Life Saving Club. That said, you’ll still see surfers and bodyboarders in the water. It’s a fan favourite with the sunbathers too, and has a nickname of Glamarama, because it’s where the glamorous people hang out. I think my invitation got lost in the post! Mackenzies Bay is a place of mystery as the locals have stories to tell you of the beach that appears every 7-10 years. It’s normally just a rocky bay with no sand, popular with boogie board riders and sunbakers. Some years Mackenzies Bay has just a narrow strip of sand, other years it forms a deep beach and some years no sand appears at all and it stays just a rocky inlet. 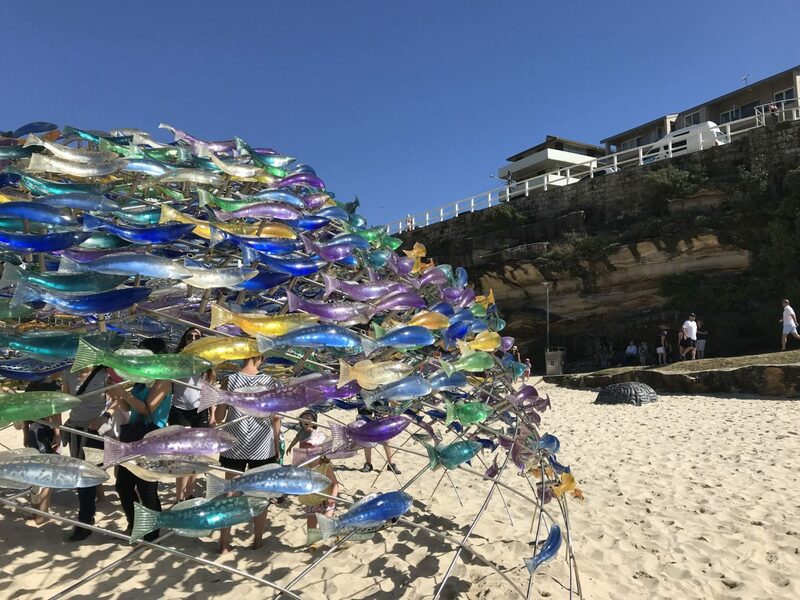 Many locals claim the ultimate year for Mackenzies Beach was 1997 when there was so much sand it was almost possible at low tide to walk between Tamarama and South Bondi. 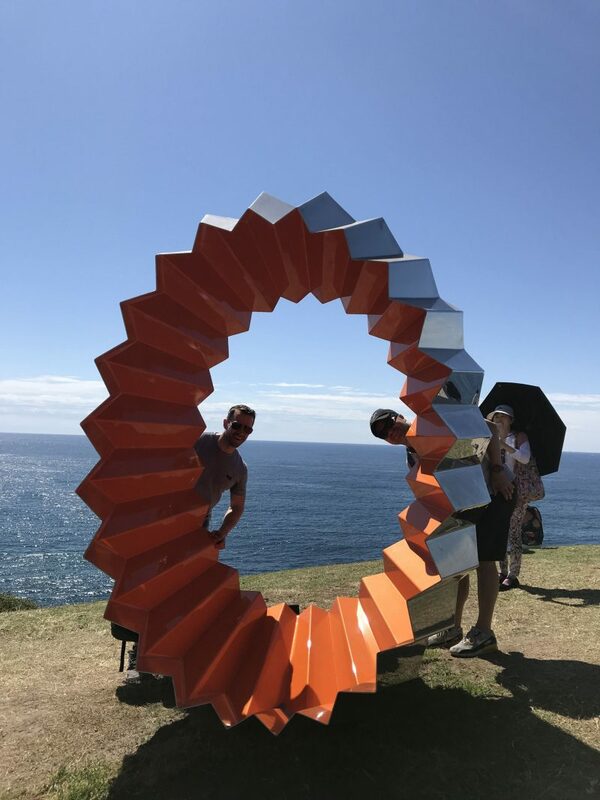 This is where Sculpture by the Sea hits its crescendo. There are so many pieces to see here. Normally it’s a flat glassy area where you can picnic and the kids can play, though it’s an alcohol free zone so keep your stubbies at home! This is where you’ll catch your first glimpse of Bondi, OK more than a glimpse, you can see the whole beach ahead of you, as well as look back at the beaches you have walked past. I recommend stopping here for a breather before you start to hit the crowds towards Bondi. 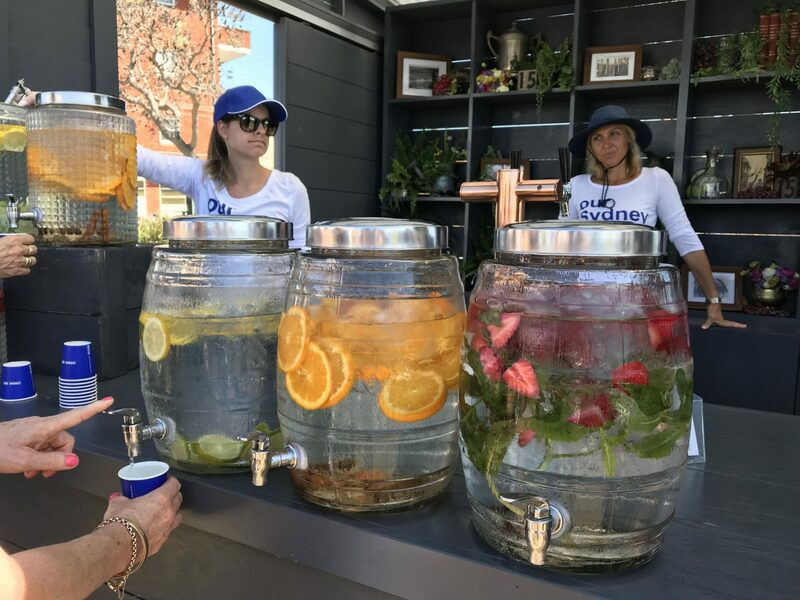 The free flavoured water was appreciated when it was 28 degrees at 10:30am! 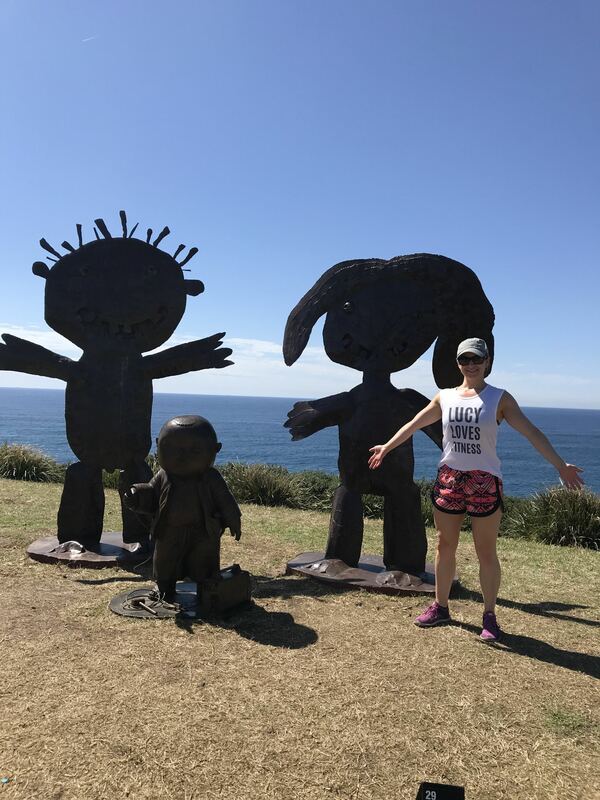 Follow the track out of Marks Park, down the steps and around the final stretch of the coastal path and you can smell the excitement of Bondi wafting up your nostrils. You’ll see it stretched out in front of you, so close you can nearly touch it and then a rocky cove snatches it from you. Some final leg work as you go up the stairs towards the balcony overlooking Bondi Icebergs (I’m yet to swim there, after living in Sydney for 6 years, that should be crime!) I’m always mesmerised by the juxtaposition of the calm water in the pool and the crashing waves from the ocean. The soft white sand of Bondi Beach is so close now, so carry on past Icebergs, (unless you want to pop in for lunch at Bondi Icebergs Club) and down to the path that leads you along the promenade, past the skate park and the graffiti walls that many an instagram picture have been taken in front of. I’d used all my ‘boyfriend of instagram’ credits along the way, so I’ll have to get one on my next visit. 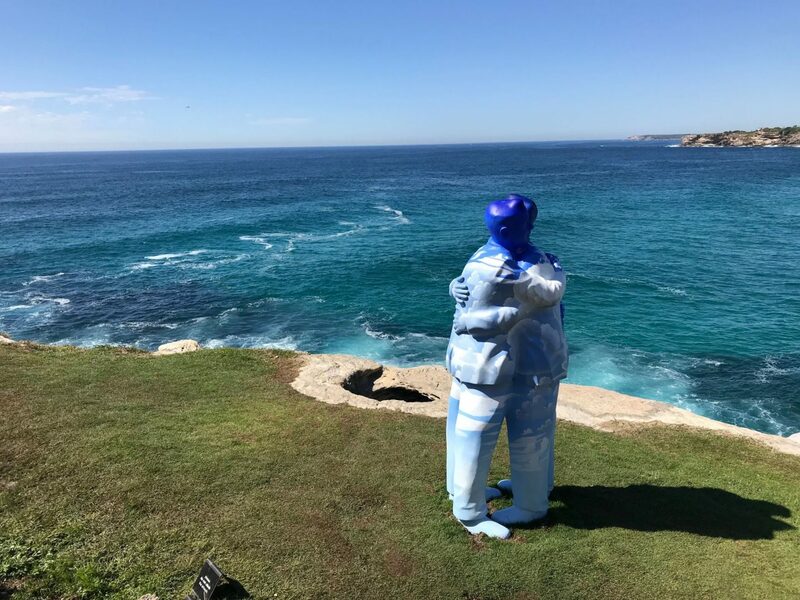 Now you have completed the Bronte to Bondi walk, you can explore Bondi Beach has to offer, if you would like another spot to eat with a view I recommend The Bucket List in the bathers pavilion overlooking the middle of the beach. However, if you’re after one of the best dinners you’ve ever had, pay Bondi Hardware a visit, it’s one of my favourite places, but you need to book to avoid being disappointed. OK, I must stop giving away my favourite places otherwise I won’t get a seat next time! 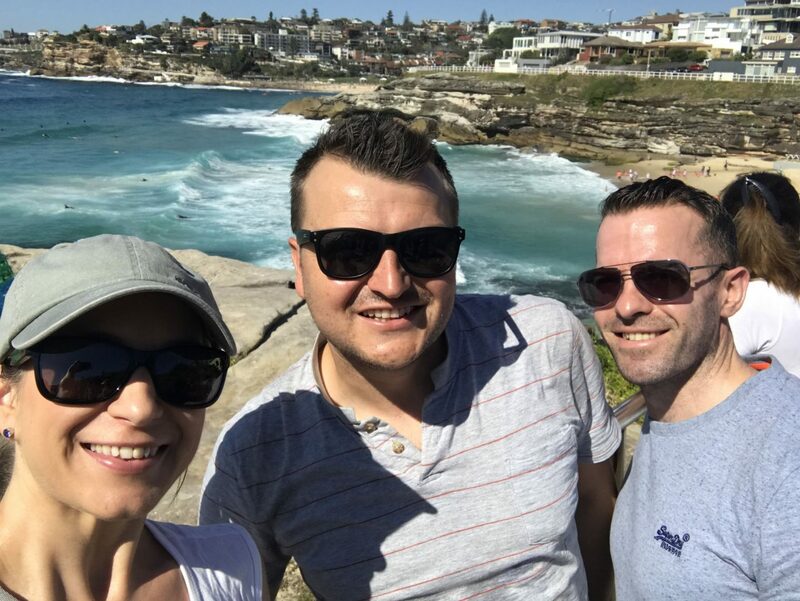 Enjoy the views, take lots of pictures and yes I’m probably the only person that has recommended you do the walk from Bronte to Bondi (all the others I’ve seen start in Bondi), though you have many more places to choose from for food & drink in Bondi and there’s less traffic.